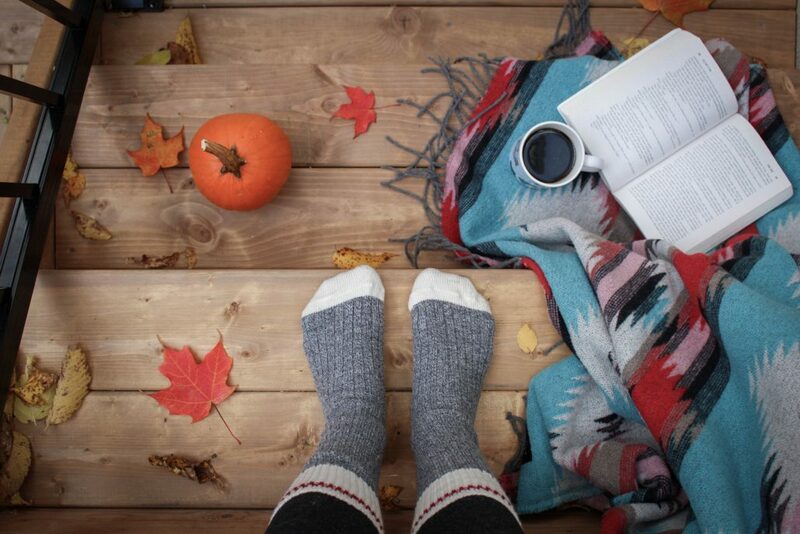 Say hello to autumn by adding these seasonal, cozy touches in your home! There are many various ways to decorate your home in a festive way for the fall. You can mix all the different elements of autumn together and stagger them artfully all around your home. When decorating for the fall, it’s best to get the most viable option to pick one style that will carry over from Halloween to the Thanksgiving seasons. Adding Plaid Blankets. Instantly add warmth and coziness to your living room and bedrooms by adding a plaid throw blanket that feature red, orange, and golden colors. 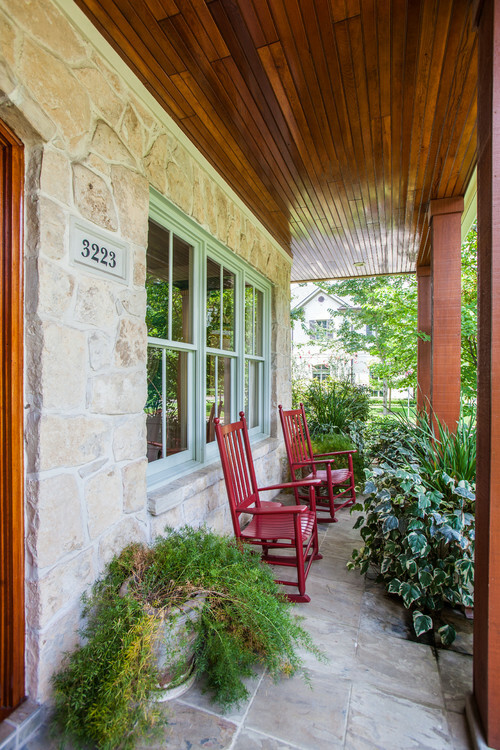 Decorate the Front Porch. 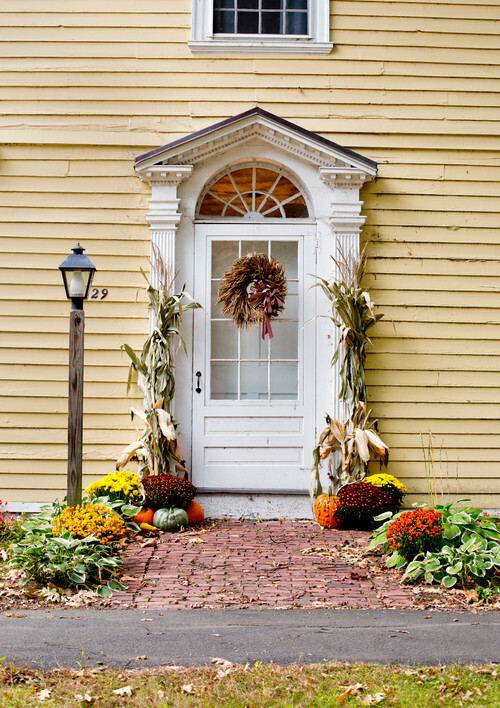 Line your front porch with pumpkins and gourds for a maximum curb appeal! Perhaps you can tell your guests they’ve arrived at fall with adorable pumpkin patch signs sitting next to your front door. Hanging Wreaths. You can dress up doors, windows, empty nooks, or bare walls with a festive wreath! You can say a lot with little with an elegant initialed fall wreath hanged on your front door. Dressing Up the Fireplace. Adding several banners, including ones with festive colors, textures, and patterns, can give you that little extra spice you want above your mantle! 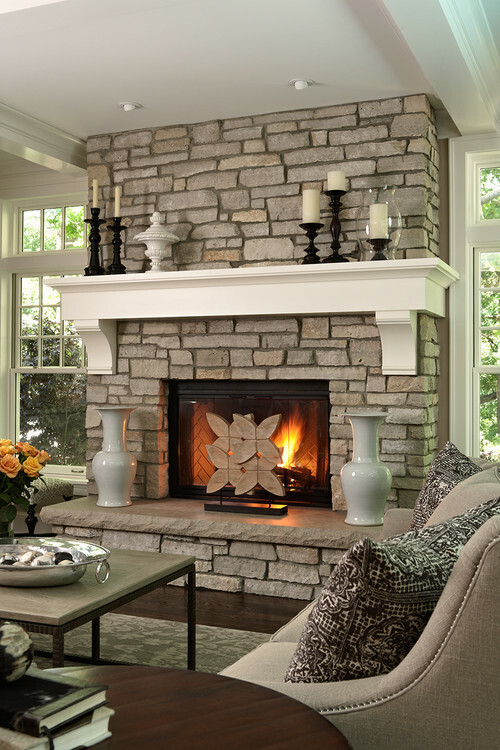 Before lighting the season’s first log, make sure to have your chimney and fire box both inspected and cleaned beforehand. Farmhouse Style. Freshen up your home as a welcoming place to hang around and enjoy autumn’s cooler season. If you already have rustic elements throughout your home, this might be easier; there’s no reason why you can’t incorporate them into your fall festive décor! Firewood for Décor. That’s right, firewood can not only functional, but decorative. Be sure to remove excess leaves or twigs and give them a quick brush off and trim to eliminate any unnecessary things such as bugs before bringing the firewood in your home. A Rocking Chair. Let’s say you already have your plaid blankets and a bountiful amount of pumpkins at your door. What could possibly be missing from this festive scene? 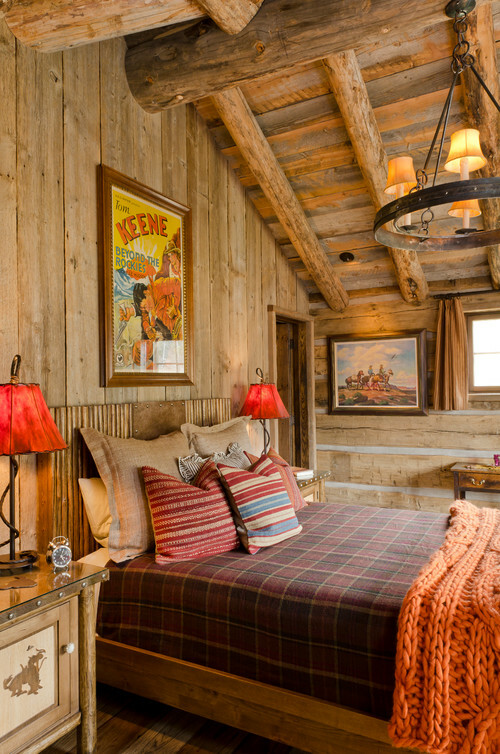 A rocking chair, and maybe some hot cocoa on the side. Things that Home Buyers Should Never Compromise when Purchasing a Modular H... Smaller Footprints with Smaller Homes!